Yesterday, Jesse had a massage at Nathan Freebody, and tomorrow, I’m going to see Mark at Bay Area Bodyworks. Jesse’s session with Nathan proved helpful: although he’s feeling sore today, his legs also feel rejuvenated after his multiple Hawk Hill climbs and international travel. With my favorite torture device. 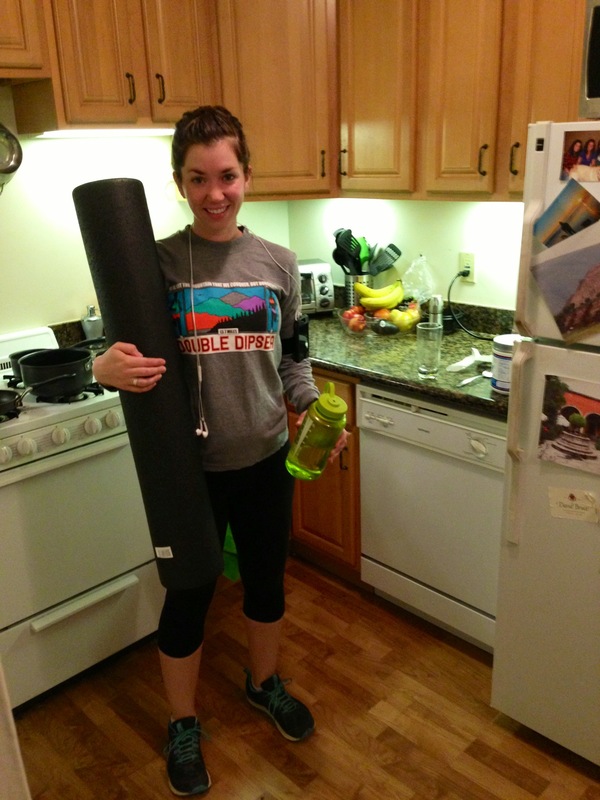 The goal is to maintain the looseness achieved through the massage by stretching and foam rolling nightly. Jesse and I have both slacked off a bit on this body maintenance in the last month or so (he’s been traveling, I have less of an excuse). We both want to be limber for Wildflower in three and a half weeks (eek!). I need a massage too! Going to book one for next week! Aww, thanks! You only get one body. And yes, that is totally ridiculous. I desperately need a massage. I have a Trigger Point roller. It hurts so good. Ouch! we have one of those too! so much pain!